Hurricane Disaster Recovery, How We Can Help Pastors And Churches Rebuild: In today’s episode, we talk with Mike Hayes, Founder of, “Help Churches,” an organization this is designed to restore and rebuild churches and pastors, helping them to recover from the devastation from the hurricanes. Their motto is, “Save a pastor, you save a church. Save a church, you save a community.” Helping churches and pastors recover will in turn have a positive impact for generations to come. 100% of the donations goes straight to the victims of the hurricanes destruction. Tune in now to learn more. Guests: Mike Hayes, David Barton, and Rick Green. Welcome to the intersection of faith and the culture, this is WallBuilders Live! Where we’re talking about today’s hottest topics on policy, faith, and the culture, always from a Biblical, historical, and constitutional perspective. That conversation today with David Barton, America’s premier historian and our founder here at WallBuilders. And my name is Rick Green, I’m a former Texas state legislator. Later in the program we’ll have Pastor Mike Hayes joining us. Also, I would encourage you to visit our websites not just listen to the radio program because we have a lot of tools there available for you at WallBuilders.com. There’s a lot of great downloads, a wealth of information just in the articles that you can download there for free. 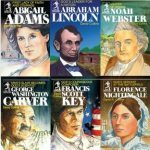 There’s also some great DVDs, and books, and different things that you can get for your Sunday school class, or your home school curriculum, or just your personal study. So check out WallBuilders.com. Then also at WallBuildersLive.com there is a list of our stations, you can get archives of the programs over the last few weeks, a lot of great information there, so check those out. David, today is one of those programs where I already know that it’s going to move people to action. 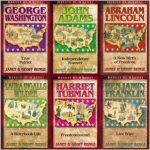 Yeah, you had people, like in 1755, you had the Reverend Doctor, I think it was Jonathan May or Samuel Cooper, they had an earthquake in New England. That’s got to be kind of unusual to have an earthquake in New England. It doesn’t matter that it’s unusual, he gave a five part sermon on what the Bible says about earthquakes and how we should respond to that. I thought, “That’s interesting, because I didn’t know that there was that much in the Bible about earthquakes until you start reading that old sermon.” By the way, that’s posted on the website at WallBuilders.com. I think we have about 200 of those old sermons up there showing the kind of things we used to talk about. It’s interesting, the disasters we have had recently whether it be Houston, or Florida, or Puerto Rico, or where ever, I think that this year we’ve seen more of a Christian response than we have in any previous year. I say that even talking particularly about Houston. I mean, Rick, you’ve been going to all of these places helping disaster relief. You’ve been right in the middle of that, and you’ve been going down, and rebuilding, and we did the same thing going down to Houston. It’s been a true neighbor helping neighbor kind of thing. It was. The house we ran, we had five junior high kids walk in and start tearing sheet rock off the walls with this, “How do you do this? where do you put it?” My gosh, it was like they were worth 50 bucks an hour, they worked like they were. They were relentless, they weren’t tired, they didn’t complain, they were just looking. It was unbelievable. By the way David, just to add to that. One of the churches we were working with down there, not a massive church either, small town church. They organized a thousand volunteers. A thousand people. And this was in small towns. How many do you think we’re in the church? Oh, I bet it’s not a 500 person Church. And this is in small towns. It’s not even in Houston, this is one of those little towns around Houston. Sorry to interrupt you, but it’s amazing how many people from each of these communities have been diving in. Then people driving in from all over the state, and frankly, from out-of-state coming in. I had a friend that flew in and he said, “I’m just going to fly in and find some people to help.” It’s been amazing the response. It’s not like they were invited, it’s not like they knew where they were going, they just flew in and started looking. It’s like, “Wow, this is cool.” What I saw when I was in Houston was I got kind of focused on- We partner with a group called Team Rubicon and they are a bunch of veterans. They brought in, let’s see if I can remember how many, it was 1,500 veterans that they brought in from across the country. They’re working like, I don’t know how many hundreds of veterans houses in Houston. They’re thinking about veteran. A lot of these guys are military pensions, they don’t have that much money, indeed we were in some really poor parts of Houston with these guys working on some houses and people that were living right on the borderline. All of these veterans were flying across the country taking care of them. So I was conscious of veterans for the first time really. But one of our friends, Mike Hayes, who is a pastor in Fort Worth Dallas area, we had him on the program recently talking about Israel. Boy, he’s just a good perspective, good pastor, but he’s the right kind of pastor. He’s a guy kind of guy like the Founding pastors who will preach about what’s going on. He’ll get in the middle of it and organize it. He drew our attention to an area of need that I hadn’t even thought about, I think about churches giving help to others, but I hadn’t thought about who gives help to churches when churches get wiped out. Certainly not FEMA. FEMA saying, “Oh, we can’t help churches.” So Trump weighed in on that and said, “You need to be helping churches.” How many churches actually got wiped out in Houston? I wasn’t aware. As it turns out, there’s dozens if not hundreds. The needs they have are often overshadowed by the fact that the churches are trying to meet everybody else’s needs. So Mike Hayes, formerly of Covenant Church over and forward Dallas area, now runs a really neat ministry in Washington D.C. Mike’s got some good input on what we can do to help this group of churches that got devastated that are doing so much to help others. Good stuff. Pastor Mike Hayes, our special guests today. Stay with us, we’ll be right back on WallBuilders Live. Welcome back, thanks for staying with us on WallBuilders. Our good friend, brother Mike Hayes, always good to have you Pastor. Thanks for coming back on. Great to be with you, Rick. Good to hear your voice and all is well. David and Tim said they really enjoyed getting to be with you recently and just really impressed with what you guys are doing to help pastors in the areas that were hit by the hurricanes. I just had a few minutes to actually watch the video on the website HelpChurches.org want to get that out to as many pastors and individuals as possible. I’m excited about what you all are doing. I was blown away by the numbers you gave in the aftermath of Katrina. Let’s start there, tell us about how devastating that was for churches in that community. By actual statistic Rick, after Katrina 40% of the churches in the New Orleans area closed their doors and never reopened. The result of that has shown up here in every area, in a negative way. Unfortunately, a lot of those churches were minority churches, a lot of them were community based churches. There is evidence that the crime rates have soared. Because when you remove a church from a community then you’ve removed the contents of that community, the anointing of that community, and the good works of that community in many cases. And it’s devastating. So yeah, I just thought, “We cannot let this happen.” So we went to work. No doubt, and you point out in the video as well that Houston, Port Arthur, Orange, that whole area, and a lot of small towns were these small churches like you were talking about. I mean, it is hard for them to get back on their feet and especially if you’ve got a small church, small budget, the pastor is pretty much, in some cases, doing almost everything. And something like this just wiped them out. It does. What I’ve learned, and this has been an education for me, in these areas many of them did not have flood insurance and that’s not because of negligence. What they’re learning and that’s kind of coming out about this hurricane Harvey is that- I’m not going to suggest it here that there’s a conspiracy, but there is actually a potential for a huge lawsuit because what they’re learning is that a lot of these big insurance companies there’s not a lot of money apparently in flood insuring because it’s only a few hundred dollars a year. I even saw one guy, I haven’t verified this, I shouldn’t say on the air but he said that he wasn’t covered because it was a named storm and that some policies cover named storms and some cover only those that aren’t name. So if it’s serious enough for the networks to name it or FEMA and all them to name it, then boom, then you’re out of coverage. I understand that FEMA can’t cover every need for everybody but they still need to cover- He had three cars, let alone water in his house, and his church is under water. Thirty thousand dollars doesn’t go very far. So he’s out of business. Our interest became, if you help the pastor get back on his feet and get he and his family back in their home, then you help the church. If you help the church you can help the community. I appreciate you coming on, and so appreciate what you’re doing, and the focus. I also want to emphasize something you mentioned in the video that folks need to know. This is a very well planned and well thought out with a lot of accountability. Y’all aren’t throwing money into the air. You’ve got pastors there that have been designated to vet who will receive the money and make sure the need is real. I just think people need to know that because there’s a lot of money being thrown around and ideas and groups. Everybody wants to help, you mentioned that in the video too, and it’s true. Everybody wants to help but doesn’t know what to do. So I think those are important for people to know. Absolutely. We designated a Pastor in the Corpus Christi area for those down there. And then one in Houston and one in Beaumont Port Arthur area. These are men that I’ve known for 20 years plus and trust them implicitly. They have great ministries themselves. Glad to do it, Rick. There’s a lot of great charities and everybody is raising money to help. But 10-40% of it never goes to the storm victim, it goes to overhead and whatever. So if that’s your only business I understand that. But my point is, our ourselves, with our ministry, and all these guys were using it to help us gather and distribute all this care, are not taking anything out for administrative costs. It’s all going straight to the need. We are just believing that God sits high and looks low and He’s going to take care of us. And that’s exactly what’s going to happen. Pastor Mike, the Website is HelpChurches.org. You don’t have to be a church, you can be an individual, but it really does help to get the whole church involved. Gifts have come in from $10,000 to $1 and every one of them helps. I appreciate so much you and David and your ministry allowing us to mention this because it’s just time to step up. I ‘d told the other guys the other day on a pastors conference call I had. Where I was challenging pastoral friends across the country. Some of our guys from the Houston area were on there telling their story. I told them tongue in cheek, “I can’t afford very many more friends that pastor on the coast because every time we look up there is another hurricane. So one of you guys move to Montana or somewhere where.” But we’re going to stand with them and we appreciate the opportunity to tell the story with you, Rick. Absolutely. Well, thanks for stepping up. So glad you were listening to the Lord on this one. I think a lot of people are going to be helped, not just those pastors but for decades that will have a positive impact in those communities. It’s called HelpChurches.org. We’ll have an easy link today at WallBuilders.com as well. Pastor Mike Hayes, appreciate you brother, thanks for coming on. 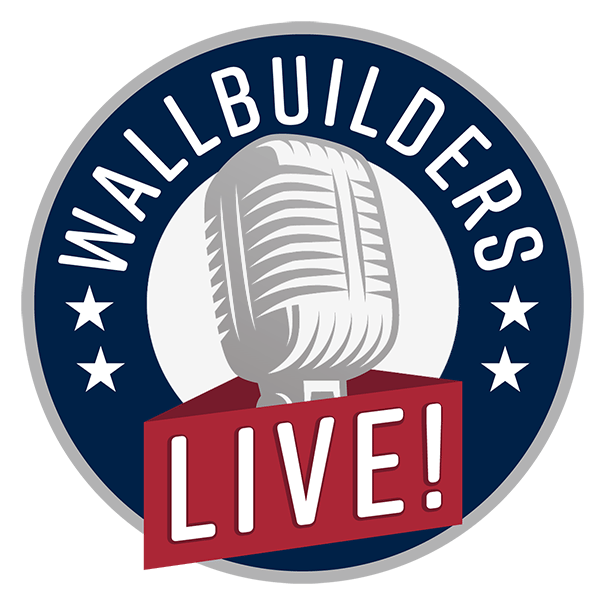 We’re back on WallBuilders Live! Thanks for staying with us! Back now with David Barton. Special thanks to Mike Hayes for joining us today. Again. the website is HelpChurches.org, that’s HelpChurches.org. David, before the interview and before our show today I watched the video that Mike put on the website and you even heard him say it, but this concept I mean, it really struck me. This idea that look if you lose a church in a community like, that that’s a generational impact. He’s saying, “Look, if we can help a pastor, that’s going to help that church, that’s going to help that community, that helps the whole state, and nation.” This is a really smart way to go about this. What did he say? Was it 40% of the churches after Katrina? That’s what he said, 40% didn’t even come back. Not only 40% got destroyed but never come back. Didn’t come back. Then what he said made perfect sense. He said, “But those places where churches did not come back, their crime rates are also up in those communities in co-relation.” And that makes perfect sense. People go the argument, “Oh churches shouldn’t get nonprofit. They don’t do anything. Government shouldn’t be paying them.” Government is not paying them. What it is is those churches are keeping the government from paying millions by keeping the crime rate low, by keeping a wholesome atmosphere, by helping the poor and the needy so that welfare is not as needed through the government. What those churches contribute saves billions in tax dollars and you get the secularists who complain that churches shouldn’t be getting paid by the government with nonprofit status. Give me a break. They contribute so much. But as Mike pointed out, you can see the effect in those communities where churches did not come back. The whole climate of the community changes. And so, I had never even thought about the fact, I knew the churches went through disasters, we’ve helped some churches when a tornado hit over in Dallas. One of the nonprofits we work with was over there helping rebuild churches. Mark Gonzales a guy we’ve had on the program before was over there helping rebuild the church. And that’s great. But I just hadn’t thought about the hundreds of churches that went under and that 40 percent of churches didn’t come back, that never even crossed my mind. That’s a devastating impact. And now here you have a very doable game plan, right? I mean, this make sense how they’re going to do it, everybody can chip in a little here and help make it happen. And you’re helping the very people that are then- and like he said, a lot of these people are are already out there, giving of themselves to help others, and they are having a hard time putting their own family back together, you know, their house, and cars, and all those things back together. But here’s a really doable way to help these communities in Houston, and Orange, and that whole area they got devastated. Oh, Beaumont, down in the Beaumont area, my gosh, yeah. And as Mike said, this is going to be years of recovery ahead of them, and he’s right. It’s out of the news now, and we don’t think about it so much anymore. But this is going to be going for years, and years, and years. So going to HelpChurches.org, that’s a good place to contribute money. Because then you’re getting two or three times as much. Not only are you helping the churches but the churches are inherently helping the community and helping those around them. So to keep them going it’s actually like giving to the community in a real sense. Because that’s just the nature of churches. They help those around them. They want to help those that are in need, they want to counsel those that need counseling. Man, after what’s going on down there, the devastation, I’m sure that even the counseling side of it is heavily needed for just that disastrous stuff that’s going on. No kidding. Let’s get them back on their feet. We’re going to take a quick break. Visit the website as we go to break. It’s HelpChurches.org. You don’t have to be a church to help. But that’s a great way to get a lot of people involved, you can do it individually. Just go on the website as an individual but take this to your church outside of the Houston area and say, “Hey, here’s a way that we as a church can help.” Because a lot of people want to but they just don’t know what to do. They don’t want to be a burden. They want to be a blessing. There is a great way to funnel those blessings from all over the country. Stay with us folks, we’ll be right back on WallBuilders Live. Welcome back WallBuilders Live, thanks for staying with us. We’re talking about how you can help in the hurricane areas, especially the Houston/Beaumont area. HelpChurches.org is a movement that pastor Mike Hayes has put together, he was with us earlier in the program. David, this is a chance to help the pastors and the churches in those areas that are usually the ones out there helping everybody else. It makes a big difference when they’re no longer in the community, as we saw in Katrina when 40% of those churches were destroyed and didn’t come back. This is a way that people can basically be a force multiplier, given to a particular person or church, but then they’re going to turn around and be a blessing to all the people in that community. Churches also provide secondary and initiatory help in the sense that these national charities that are in there, they’re going to help fix the houses then they are going to be gone. But that doesn’t fix a lot of the problems that remain. For example, you guys were talking about how bad the insurance is down there and how they’re finding ways to- It’s so easy to get bitter and to get cynical. And when you do that the Bible says that a root of bitterness defiles you. I’ve got a friend who keeps his studies on how that that kind of emotional distress can often cause cancer and can cause other diseases in the body. It just eats away at you and then it physically starts eating away at you. But it’s not going to be the national groups, it’s going to be the pastors and the churches that help people get through bitterness, and get over that, and move on down the road, and learn how to be thankful in all things, and know that God’s in control, and rely on him. So, a year from now when people are still struggling psychologically with this thing, kind of like PTSD aftermath- I have to say, the emotional impact of this. We walked through those streets with everything that those people owned out on the sidewalk. All their pictures, all their kids books, it’s just everything. It’s 50 years of marriage, or 25 years of childhood memories, or whatever it is. That’s where church become a force multiplier. They will be there to deal with the residuals of this destruction for the next two, three, four years. And those national groups will not. That’s right. Well, folks, you can go to the website right now and help. It’s called HelpChurches.org again, get your church involved as well. Spread the word to the folks your church. Call your pastor and share this idea with them and tell them it’s a great way for you all to come together at your particular church and be a part of this. Special thanks to Mike Hayes for putting this thing together. Thanks for listening today, folks. You’ve been listening to WallBuilders Live.